Will I Make Money If I Start My Website? Yes, you can. Even if you sell nothing yet you can make money from your website by placing Google AdSense on your website. But then you will have to devote some time to your website on regular basis. Your posts can make money for you only if you post useful or interesting content, choose a niche that interests you and try to engage your visitors on your website, the more you write, the more interest your website will hold and the more people are going to browse it. This way more relevant ads will appear on your website which will bring more views and clicks resulting in good online income. There are many stories of professional bloggers who make their hobby their business. Most successful bloggers are doing what they love and are making good money from that. For instance – Travel bloggers are travelling new places and then sharing their experiences as photos, videos and stories on their website. This way they make money and then use that money to visit new places and post new stories. In the same way food bloggers post new recipes, technology bloggers share how-to guides, book and movie lovers are making money by reading books, watching movies and then reviewing them on their websites. You may choose the niche that interests you the most and then start living your enthusiasm. 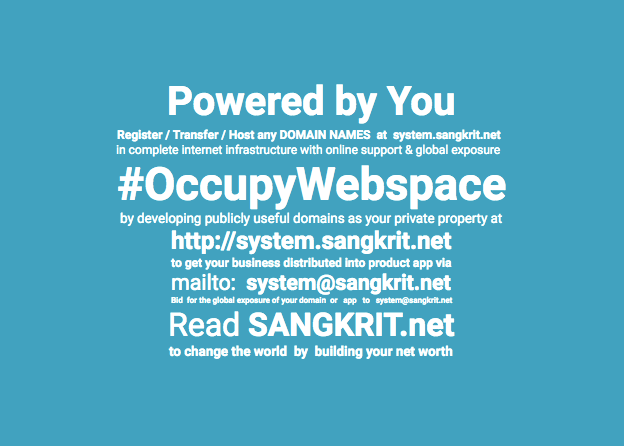 SANGKRIT.net has made is easier for you to start a blog in minutes. All you have to do is register a domain name of your choice and subscribe Managed WordPress. WordPress is the most popular blogging platform which can be extended with its free plugins and themes. For instance you can optimize your website yourself, add sharing buttons, setup social media poster and much more right from your admin area dashboard. So once you subscribe Managed WordPress, you are all set to start blogging your ideas and sharing your experiences on your website.